When you’re catching this many at home there has to be a good reason for Vegas itching the opening number. 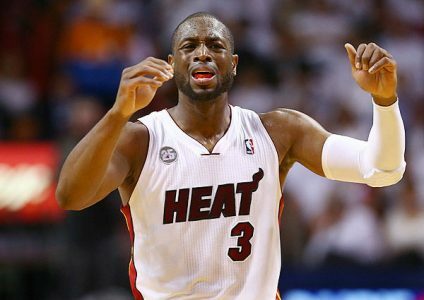 Perhaps the real key is guard Wade being out of the lineup for the Heat. In addition, Dallas has covered at a 13-3-1 clip in Miami. Still, we don’t believe the Mavs can cover this large opener considering they are on a 0-4 SU & ATS run. The losses were to Houston, Memphis, New Orleans and Chicago. Overall Dallas has a favorable net point differential of almost 18 points in the matchup, but this does not necessarily project a spread victory. Home standing Miami has won 7 straight in the series. The Mavs (30-17) are 22-24-1 ATS, whereas Miami (20-25) is 20-23-2 ATS. Dallas comes in 16-9 SU on the road, Miami 8-14 SU at home. The Mavs show 3-12-1 ATS after an ATS loss and 0-7-1 ATS off a SU loss. Miami with a 4-0 ATS mark off a SU loss.